IBC 2018 is over and we presented a variety of new products in Amsterdam. If you didn't have the possibility to attend IBC Show, take the chance to meet us at cinec 2018 starting Saturday 22 September in Munich at the MOC. We'll be present at our booth 3-A65-1 until Monday 24 September. The Evolution 2X lenses are matching the vintage KOWA Anamorphics. The Evolution 2X lenses are probably the most compact anamorphic cine lenses on the market and consist of the original four focal lengths 40, 50, 75 and 100mm. To expand the creative potential of filmmakers around the world we added one wide angle 32mm lens as well as a tele 135mm lens which were both presented at IBC Show 2018. In 2015 we released our first anamorphic zoom which is now followed by a tele 70-200mm zoom. Both zooms are part of the TECHNOVISION Classic series with an anamorphic squeeze factor of 1.5X and are compatible with Super 35 as well as Full Frame cameras. 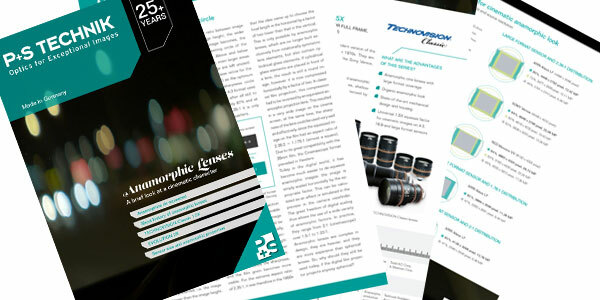 In addition to our TECHNOVISION Classic zooms we have presented anamorphic primes starting with the 100mm T3.0 lens.